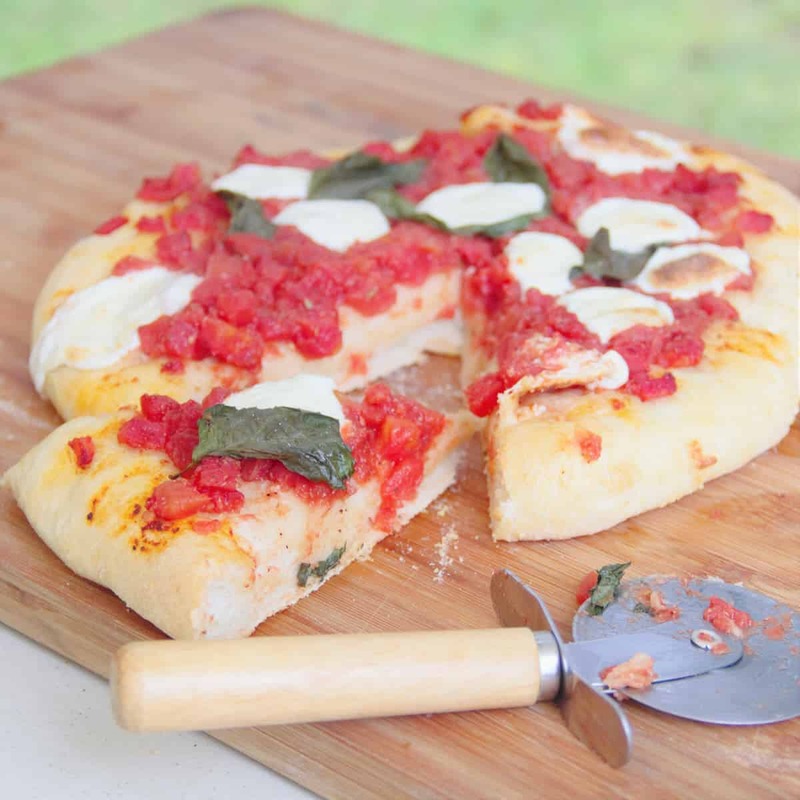 Outdoor cooking should be simple, and this traditional Italian pizza, the Margherita pizza, is a great example of a few flavors coming together to create an amazingly satisfying meal. 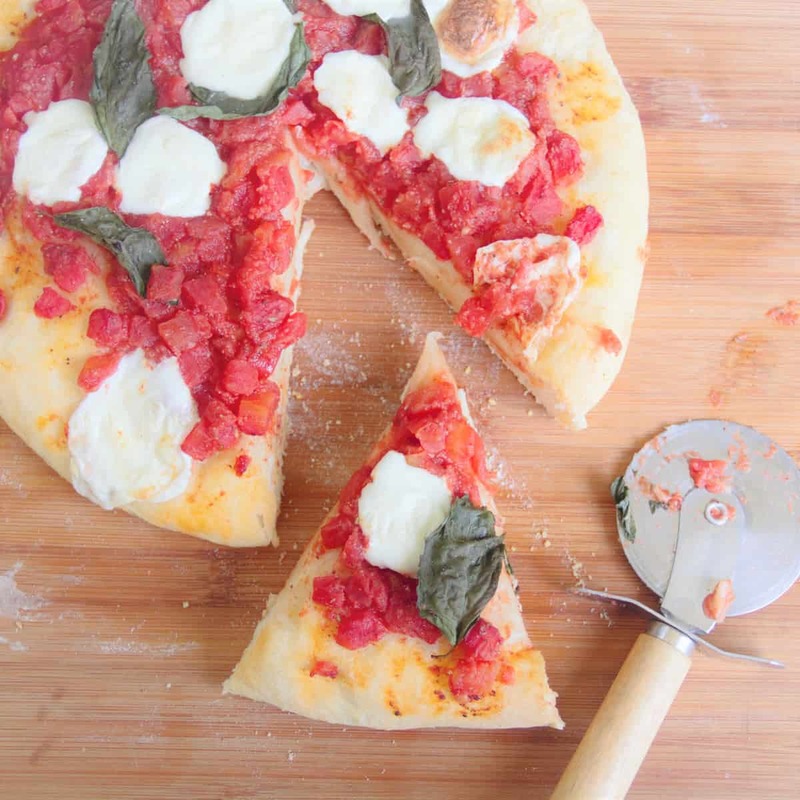 Although there are a few stories on the history regarding this pizza topping including its creation to honor the queen of Italy – Margherita of Savoy, comprising of the th Italian flag colors red, white and green. There is history to suggest it existed long before this, as far back as 1896, when the toppings were described as being arranged in a flower… Margherita means daisy. 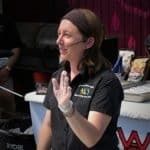 In the modern day the simple and well packaged ingredients make it perfect for camping trips ans being cooked on fires, camp overs, Dutch ovens, or purpose built wood fired pizza oven. Open the can of tomatoes and place in a strainer, immediately place the empty can underneath to collect the juices. Sprinkle with the herb seasoning, let sit until pizza dough is prepared, then stir, this will cause more juice to drain. 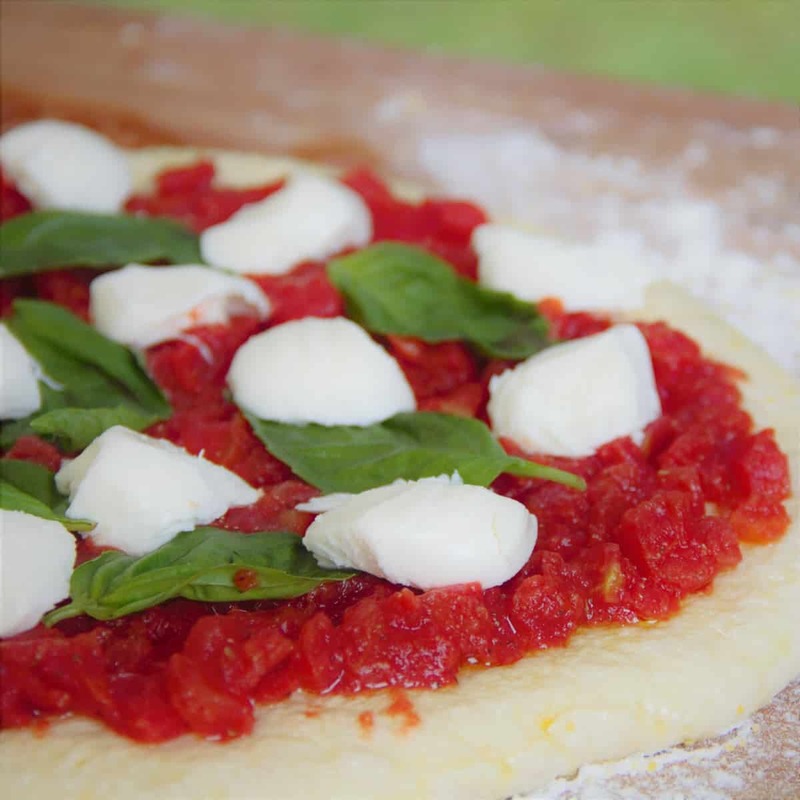 Prepare the pizza dough by rolling out to desired thickness and size. Use a thin sprinkling of corn meal or polenta on the base of the pizza dough, this helps it not stick. As a substitute plain flour may be used. Tip: If you are not in a position to use fresh dough, it may be substituted with pitta bread, flour tortillas, or similar flat bread. Brush the edge of the pizza dough with the olive oil. You may use a brush, or if so inclined your fingers. Create a base layer of the tomato sauce prepared earlier, make sure it goes as close to the edge as you desire. Top with the basil leaves, and slices, pieces or similar of the mozzarella cheese. 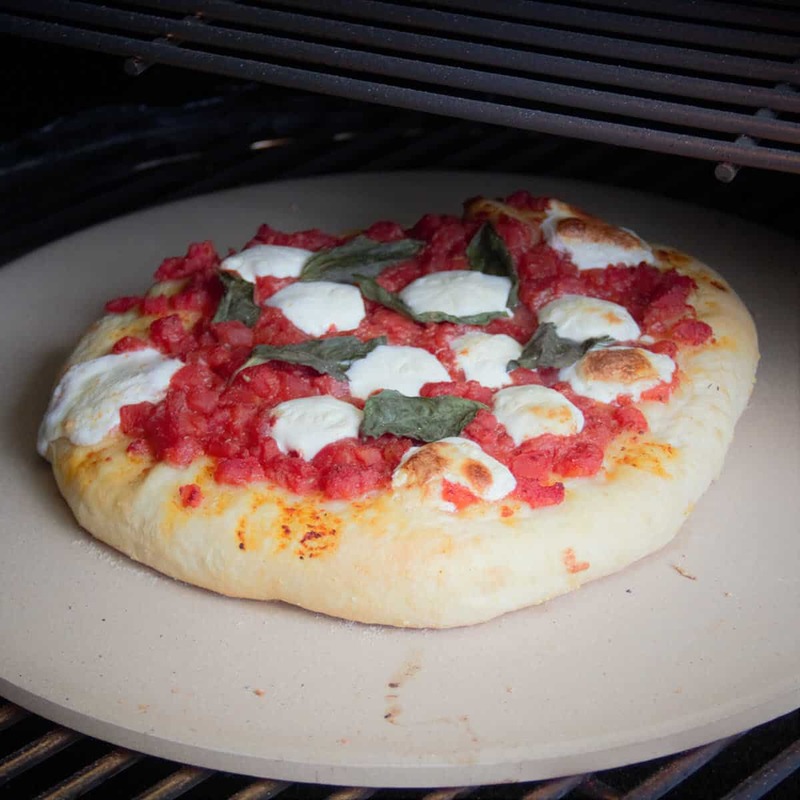 Slide onto a pizza stone preheated in a BBQ, pizza oven or similar to ~400 to 500 degrees (200 to 260 degrees C). Cook for 15 to 20 minutes, or until the dough is cooked through and the cheese has melted. This may vary based on the temperature you can reach to cook it, and the thickness of the pizza dough. With the Grilled Cheeseburger Pizza, two of your favorite foods meet as one! 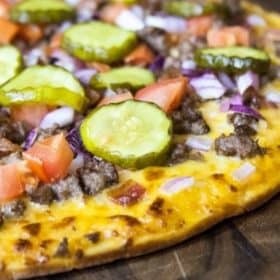 It’s the perfect combination of both a pizza and a burger, with crust, beef, and dill pickles. 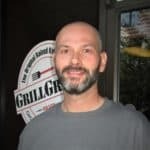 The Grilled Breakfast Pizza is the perfect way to jumpstart your tailgate party. Stuffed with eggs, potatoes, and bacon, you can’t go wrong with this filling and satisfying breakfast. Grilled pizza is a quick and delicious way to make this family favorite. 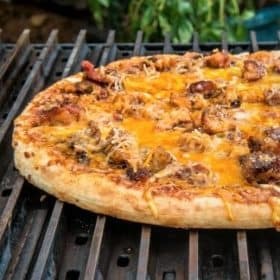 Barbecue Pulled Pork Pizza, the combination of two favorite dishes, is sure to be a winner with everyone! 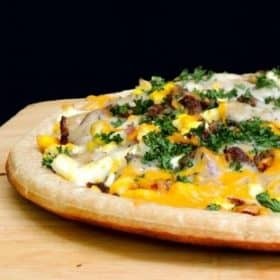 Love this pizza recipe, works great on the BBQ!